Exterior is nice, but interior, meh... Curious to see how a base aviator compares to an optioned explorer cost wise. I actually like the interior but not the exterior. Something about the exterior just seems kind of off to me. With the exception of the dial transmission selector, I think the interior is a huge improvement over the outgoing model. The central infortainment screen may look "tacked on" but I assure you that it is not; it is most definitely securely fastened. I personally believe that the tacked-on look is merely the current fashion, and if the instrument panel designs we are now seeing from Mercedes-Benz (where the driver and central displays are at the same level and even have glare shields) are any indication, I believe that other automakers will slowly start to integrate their central displays better. As for the electromagnetic fields that it emits, again, I have no doubt that the automotive electronics engineers have done their due diligence and shielded it from interfering with any personal electronics that drivers and their passengers may carry in the car. Our home and office computers and computer display screens do not interfere with other electronics, so why would we expect the car's electronics to interfere with other electronics? Part of the shielding and non-interference are the device standards that these electronics must adhere to, including the Qi wireless charging standard. The power transmitter in the car (the charging pad on which you place your device) is designed to work only with a Qi-compatible receiver; and the Qi-compatible receiver in the phone is designed only to work with a Qi-compatible charger. Furthermore, the transmitter and receiver are designed and built only to work when in close proximity, and the receiver (the phone) must be placed properly on the charger (an incorrect placement may prevent the phone from charging). 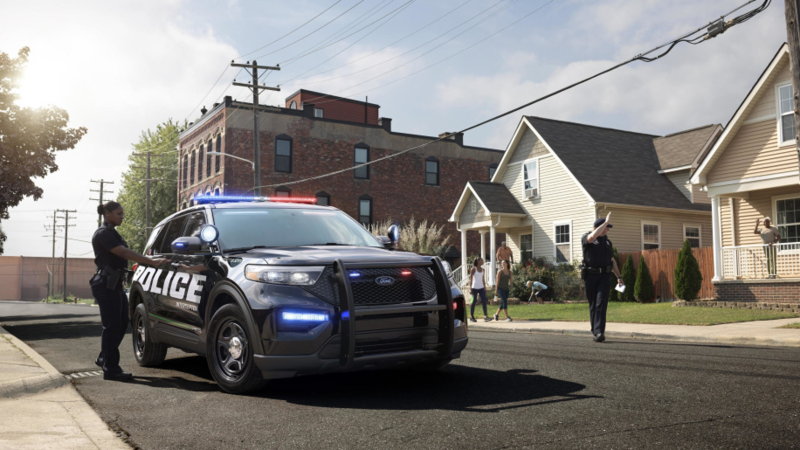 Ford has released photos and information for the new Police Interceptor Utility, or the police cruiser version of the upcoming 2020 Explorer. In a way, these images provide the first official look into the new Explorer, as well as showing off the police variant's features. 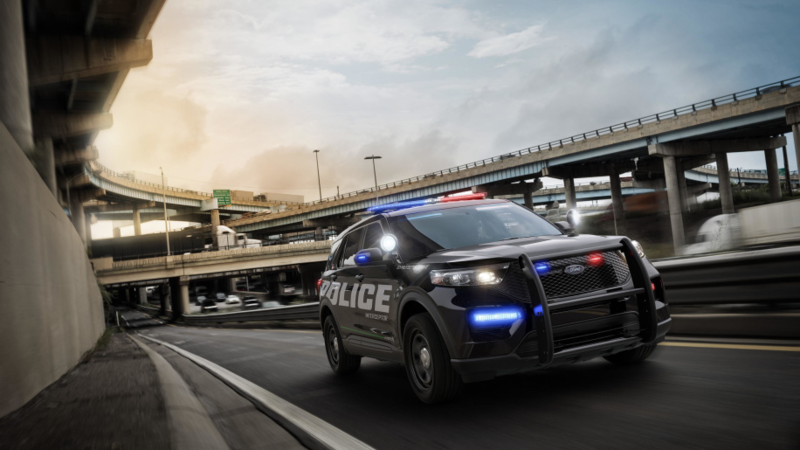 The 2020 Police Interceptor Utility comes standard with a 3.3-liter hybrid, all-wheel-drive powertrain. The optional engines are the 3.0-liter EcoBoost and the 3.3-liter, non-hybrid V6, which are also coupled to AWD as standard. The transmission is Ford's 10-speed automatic. Ford predicts the 3.3-liter hybrid version can save between $3,500 and $5,700 in annual fuel costs per vehicle, as its EPA rating of 24 mpg is a 41-percent improvement over the outgoing 3.7-liter model's fuel economy figure. Also according to Ford, the new model is quite a bit faster than the previous generation 3.7-liter. In a 0-60 test performed by the Los Angeles County Sheriff's Department, the 3.3-liter hybrid came out 1.1 seconds faster, the gap growing to 4.7 seconds when accelerating to 100 mph. The top speed is mentioned to be 137 mph. As we reported on the Michigan State Police's tests, the 3.0 EcoBoost version hits 60 mph in 5.77 seconds and goes all the way to 150 mph. Ford says the platform was designed around a hybrid variant from the get-go, meaning that the lithium-ion battery doesn't compromise the available loadspace or passenger compartment space compared to non-hybrid versions, and that there's now more room compared to the outgoing SUV. The vehicles are highly connected, as they come standard with a modem setup and two years of Ford Telematic service free of charge. There's also a Police Perimeter Alert system, which has a 270-degree field of view to warn about intruders. The alert function turns on the vehicle's rear camera, triggers a chime, closes open windows and locks doors. The display cluster shows motion trails of what the system detects. Good Police Fleet car, I wouldn't want a car that everybody assumes is a cop when behind them. Especially in Black at night. For those interested, here's the official literature (and some specs) on the 2020 Police Interceptor from Ford's own web site, although Ford has only released a limited amount of data on it publiclly. I don’t like the headlights touching the front grille. I prefer the current Explorer front fascia to the all new redesign. The side and rear look pretty good though. Interior is also nice for a Explorer. My biggest issue, though, with the Explorer is that it's no longer a body-on-frame SUV. Yeah, I have no interest in a BOF SUV any longer. Unibody vehicles are much nicer to drive, better space inside, etc. I'd prefer a RWD platform though, which its luckily getting. the current one isn't either so that ship has sailed long ago. At least this new one is red and has much better proportions. I like it. It looks alright. not bad for an exploder.